Yummy breakfast is always a part of our conference traditions. 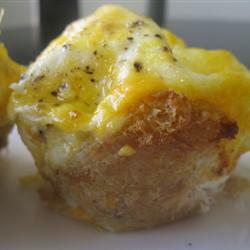 Before I get into the nitty gritty, I wanted to be sure to share this new recipe we discovered and love, "Mom's Baked Egg Muffins." We had them for Saturday morning conference breakfast. Delicious! Lincoln loved them too. What is General Conference? General Conference is a semi-annual event where leaders of our worldwide church, speak to us about things that they feel God wants us to hear. You know, before conference begins, Squire and I have a tradition of both writing down questions we would like answered. We listen with open ears and hearts. This conference - almost all of our questions were answered from our first time listens - through both the talks and the incredible music of the Mormon Tabernacle Choir. General Conference, is seriously amazing. President Boyd K. Packer - Talked about family. This one was probably one of my favorites of the whole conference. Sister Cheryl Esplin - Talked about how parents should teach their children. It reminded me of how amazing my own mother is and was in the way she taught us right from wrong. How I want to be as a mother. Elder Donald L. Hallstrom - Talked about the importance of both activity in the "church" and the "gospel". He talked about how people can be active in the church without being active in the gospel. That is when people fall away . . .
Elder Jeffrey R. Holland - Gave beautiful insight to Christ's parable of the householder and labors. It was about not being envious, and about the beauty of the atonement, and God's ways. Sister Julie B. Beck - Spoke about Relief Society - of course! What stuck out most to me about Sister Beck's talk was that the relief society is not meant to be like any other women's organization in the world, it is better! It is organized as God has directed for the building up of all women, and their families, and the world. I mention her talk as well because it was a momentous moment in her life - she was just released as the General relief society president. I have such a fond love and respect for her. She is truly one of my heroes. I want so much to be like her some day. I will miss hearing from her! President Dieter F. Uchtdorf - Talked about how we should eliminate contention from our relationships. He said that we often judge others more harshly than we judge ourselves, but that the people who make it to heaven, have both forgiven and been forgiven. Elder L. Tom Perry - Spoke about the Book of Mormon. He talked about how the Book of Mormon enhances the messages in the Bible - and visa versa! Elder D. Todd Christofferson - Talked about how church policy is organized. It expounded a bit on revelation on our church, with a Biblical perspective. I think this one would be of interest for theologians to hear. Elder M. Russell Ballard - Talked about the cause and effect relationship of moral values and prosperity. How they are related. Society is on the decline, but he talks about how we can change that. President Thomas S. Monson (The Prophet) - Talked about the meaning of life. Yep. And he did it beautifully, too. Did you tune in to General Conference too? Which talks impressed you most?